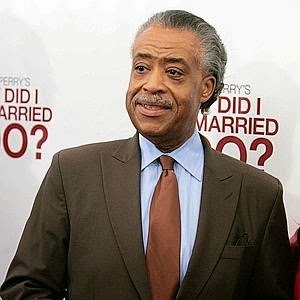 We had previous posts on how National Action Network head and Politics Nation MSNBC host Al Sharpton may not be the most compelling television host. His cadence, apparent discomfort, malapropisms, excessive volume, constant eye popping OUTRAGE, blind partisanship, slavish devotion to the White House talking point of the day, and never ending search for the teleprompter all make for exciting television in the same way that a 3 car wreck makes for exciting viewing on the daily commute. 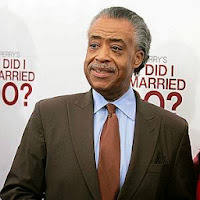 And generally speaking I like Al Sharpton. He's been willing to stand up and be counted which is more than you can say for most people. It's just to quote iconic film character Dirty Harry, "A man's gotta know his limitations." Al Sharpton appears to have completely disregarded that advice. Not only is he straying from his lane, he's not even driving on the street any more. I just don't think that Mr. Sharpton is a smooth comfortable speaker in front of a camera, at least not when he is not protesting something. There are many skills I have and many that I do not. There's no shame in that. Public speaking is certainly not my kettle of fish. I have over the years tended to, consciously or not, shape my career so that I can minimize the opportunities for public speaking. It's not something I care to do or am much good at doing. As far as Sharpton goes, I think that the talents required to be an activist and protester are not necessarily those required to create must see TV. But heck if someone wants to pay me a busload of money to do something I'm not very good at and is okay with me not being very good at it would I turn them down? Would you? We know Sharpton didn't. As it turns out we at The Urban Politico weren't the only folks to notice Mr. Sharpton's relative discomfort on his own tv show. As Fed Up brought to my attention, SNL, which I don't really watch any more, recently had a skit satirizing brother Sharpton, which touched on many of the points we had raised months prior. So either we should consider going to write for SNL or Sharpton's presentation shortcomings are so painfully obvious to everyone with a pulse that bringing attention to them is akin to saying that when it rains you get wet. Either way check out the skit below.